"Bus riders, meanwhile, will be seeing more of the MTA’s Eagle Team — a task force of trained officials who can issue fare-beating tickets. The Eagle Team mostly patrols Select Bus Service routes, where fares are paid to on-street. Soon team members will be riding local buses. For their own safety, bus drivers have been told to avoid confrontation with fare beaters." Goes without saying, but long as the cost of having these teams can be kept to a minimum or the benefits outweight the costs, I am all for it. Yesterday I rode the Bx1 from 165th to Burnside, and in that stretch there were about 20 people who farebeat just through the rear door. And it was clear that the middle door wasn't different. It was also obvious that this was normal behavior (I rarely ride Bronx buses) because people were lined up in relative bunches (front, middle, rear) when the bus pulled in. I think each borough is going to have its own eagle team and I think that will be best because if people know that the police will ride the buses and any route people wouldn't fare beat as much. From what I see fare beating is normal city wide. No one discourages it and bus drivers can't risk their safety because some people can be crazy. Its even worse when school kids do it because they literally have metrocards given to them but still get on without paying it or swiping. Overcrowding can also make fare beating happen a lot more because who wants to wait on a long line just to pay? I do hope all door boarding will limit fare beating but who knows? Yeah the kids drive me crazy too, they have a school card just take it out and use it. Many of them feel that the driver already knows they have a student metro-card (which usually entails them to free rides after a certain distance away), and they are just students after all. In some scenarios, this works since it can make boarding the bus faster with a group of them. The problem is that this can allow for certain students without a card at all to get in without paying whatsoever. And I've actually seen many adults on bus routes squeezing in with the kids so they don't even have to pay... go figure. I think the positives of Eagle Team will outweigh the negatives so I'm interested to see what's next. Didn’t police back in the day use to ride the buses to make sure people didn’t sneak on the bus? Might hurt school kids in the long run not using them. 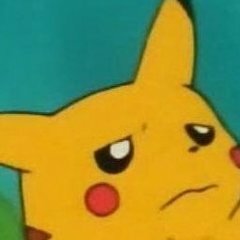 Whenever the MTA / DOE whoever the hell checks student card usage and notices a low perctange they might change the distance you need to live to receive the benefit or cut out some completely. I fully support it on all buses. The school kids think they should NEVER pay. You are only a student when you’re in school, not 365 days a year, so that means outside of school, you PAY. It just instills a sense of entitlement. On weekends when we’d hang out we paid for transportation. Money for the latest iPhone, but no money to pay their fare... The is on the hook for these passes and the cost of them keeps going up. Best of luck, but insanity is doing the same thing over and over and expecting different results. When were they on local routes? There's this 2012 press release. In a stepped up effort to reduce incidents of fare evasion on MTA New York City Transit buses, the NYC Transit Department of Security will be increasing the Eagle Team force and deploying enforcement personnel along problem bus routes. First employed along Select Bus Service (SBS) routes, which require off-board fare payment and proof of payment once on the bus, the Eagle Team have been credited with creating an atmosphere of minimal fare evasion as well as near zero operator assaults along those routes. The idea behind the use of Eagle Team is two-fold, first to serve as a deterrent against fare evasion and second to assist the NYPD, particularly notifying them about “hot spots" -; locations we have identified where fare evasion is a problem. “This is very much a collaborative effort between NYC Transit and the NYPD, who have been doing a tremendous job of enforcement," said NYC Transit President Thomas F. Prendergast. “The value of the Eagle Teams will be in helping customers understand that this is not a free service while alerting the NYPD to the areas where we are experiencing problems." Eagle Team deployment will be intelligence based using a system based on the NYPD's COMPSTAT- style analysis, which will take a close look at trends throughout the system. Eagle Team member will write $100.00 Transit Adjudication Bureau (TAB) summonses. The enforcement enhancements will double the Eagle Team force, which currently stands between 60 and 70. 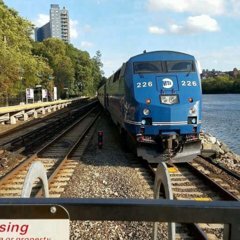 “As with the SBS routes, we will operate with a blend of enforcement and customer service," said Vincent DeMarino, NYC Transit's Vice President of Security. “We will share our information with the NYPD and work with them towards our common goals." The stepped up enforcement is expected to be in place by the end of the year. The MTA couldn't beat the fare-beaters. The team of retired cops who patrol for nonpayers on MTA buses, known as Eagle Teams, failed to stop freeloaders or down-on-their-luck riders who slip aboard without paying up. Now, to save $6.7 million a year, the Metropolitan Transportation Authority is cutting 64 positions from the Eagle Teams assigned to regular, local bus routes. Instead, they'll be reassigned to the MTA's 12 Select Bus Service routes, where riders dip their MetroCards on street-side equipment for a paper receipt, instead of onboard. "It has been determined that this effort, which relied on intermittent fare evasion enforcement, did not result in significant or lasting reductions in fare evasion," MTA officials wrote in a financial document. As a student-athlete, many times during my high school career I had practice when classes were out of session. Some bus drivers would question me when I would use it to go to practice because classes were out. I've also had weekend practices a few times and I paid or got driven, but as long as its a weekday, idc if it's Christmas Eve, I can still use my student metro if I'm going to school for practice or any other extra curricular activity outside of classes. That's different. I had that as well. What I'm talking about to clarify since I should've done a better job before was that ANY activity that doesn't revolve around school or student activities or anything where you would normally use your student Metrocard means that you should pay, so for example, me hanging out with friends on weekend has nothing do with school in any way shape or form. When I did that I paid. What kids do today is no matter what they are doing, they act as if they are entitled to ride for free, be it hanging out with friends on weekends or whatever, instances in which they clearly should be paying. I don't have a problem with students getting Metrocards. I got them also. What should be looked at however is the rampant abuse of them. I see people who look young enough to look like students but that aren't using student Metrocards when students pass of their card to other people. That's just one example of the abuse that occurs, and it's the that pays for the program, while the City pays $0. As the cost goes up, they pass that on to paying passengers that's all, and paying passengers should not be forced to pay for what is abuse and theft of service. This means that fare evasion is worse than the MTA is willing to admit. For years they insisted it was in acceptable limits of 3 percent until the Daily News a few years ago exposed that it was closer to 14 percent. Then the MTA admitted their estimates were too low. The numbers should be transparent and part of the MTAs Performace Dashboard and needs to be broken down by borough, local and express routes and SBS. They been out on that staten island local busses for past week or so, they come and go every few months. Watch the board meeting from last Thursday. I watched all of it late last night. Only now are some board members saying that they should work to collect those fares instead of sticking it to paying passengers. To add insult to injury, they’re proposing capping fares for commuter rail riders at $500.00, but upping the base slightly for express bus riders. That’s in addition to the $31 million overall in cuts to bus service systemwide. It’s appalling that they threw out 600 pages of material to the riding public and the MTA Board and then they want to vote on this next month, with no scheduled public meetings. Of course there will be some, but this is something that should be thoroughly discussed. Commissioner Trottenberg noted that for hire vehicles have QUADRUPLED in the last few years as riders flee the system. That is a serious problem and we both know if these fare increases go into affect that will only worsen. I think I’m going to have to speak in December because this is absurd. No sort of transparency with such actions. I agree with the entitlement. They think that they are immune to being caught because they are students, yet don’t have any idea on the cost of their actions later on if they get caught. The Eagle Teams should force students to comply and actually use their MetroCard whether they want to or not. The students forget that if they get caught by the Eagle Team, their mommies and daddies have to cough up $100 or more in fines. So, no iPhones or Samsung Galaxies for them. I'm curious to see the stats on how many people actually pay those fines. Given the number of people that ignore parking tickets, which can get your car booted, I suspect many of the Eagle team tickets go unpaid. Also, they keep referring to all the Eagle Team members as retired cops. Most of the ones I see are way too young to have hit retirement. They either were never cops, or flunked out early on. They act super aggressive. I see them and I pull out my paper ticket and look as if to say okay now let the testosterone settle down a bit. It’s theft of service, but they seem to take it personally. The school kids think they should NEVER pay. You are only a student when you’re in school, not 365 days a year, so that means outside of school, you PAY. It just instills a sense of entitlement. On weekends when we’d hang out we paid for transportation. Money for the latest iPhone, but no money to pay their fare... The is on the hook for these passes and the cost of them keeps going up. Im with you on that one.. Staten Island is rampant with Kids just walking on the Bus. Ive seen for sure seen it on Saturday as well on the S79! Your right.. ive taken a few routes S54,57,74 they never even pull there Metro Cards out.. the drivers out there give a different type of courtesy they don't extend in Brooklyn that's for sure.